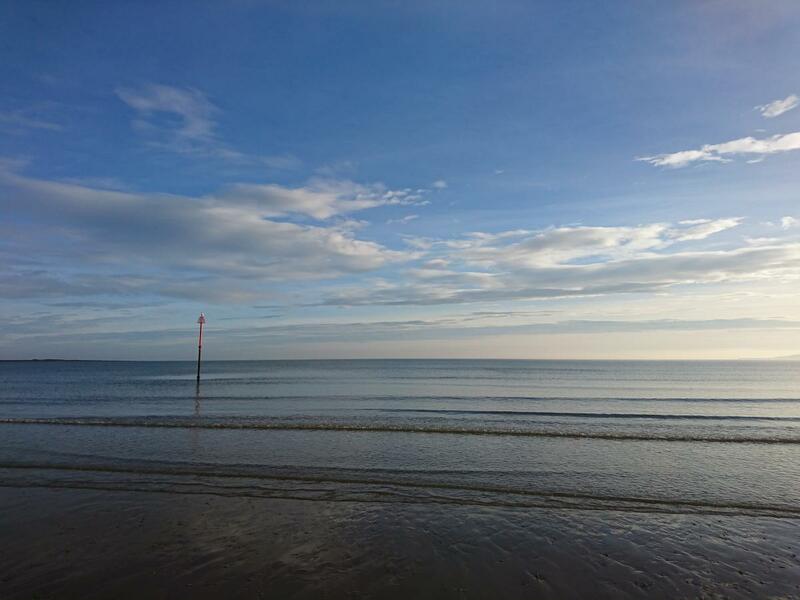 If you have a dog, Filey Bay is a great place to walk him or her. Much of the Bay has a large, sandy beach. The full bay stretches from Filey Brigg at the northern end through Filey town, Primrose Valley and Hunmanby Gap. 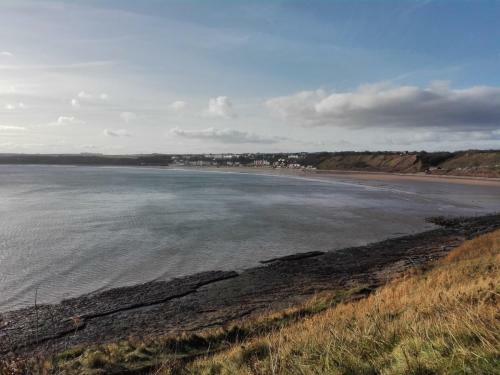 It continues past Reighton to Speeton Sands at the southern end, a walk of five miles. You can start this walk at several points along the bay making for a short or long walk as you wish. The Country Park on the top of Filey Brigg has ample car parking, which is “Pay and Display” throughout the summer months and free in the winter. If you don’t feel like paying for car parking, some free street parking is available in Filey itself. From Filey it’s a short walk down to the beach and you can miss out the Brigg part of the walk. Once you’ve parked in the Country Park, start the walk by heading out along the top of the Brigg. If you have a dog with you, keep your dog on a lead for the Brigg top walk. There are steep cliffs on either side of the Brigg. Halfway along the right-hand side is a path leading down the cliff to a beach level path. Down at sea level an obvious path leads onto the beach to the right-hand side of you. You could take a small detour and walk left to the end of the brigg itself. Check the tide times as this path disappears about 2 hours either side of high tide. 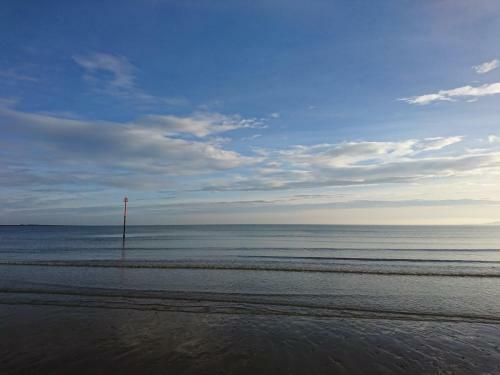 If you arrive at high tide there is an alternative route down to the beach opposite the cafe, next to the caravan site. 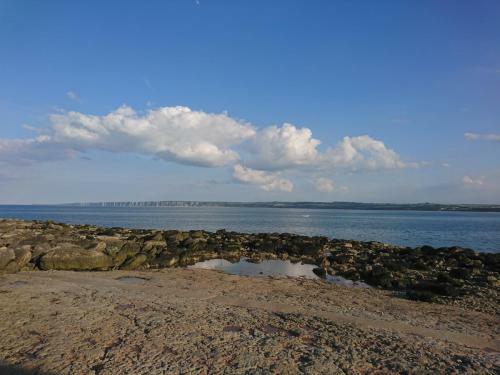 Apart from the Brigg itself, the whole walk is usually accessible at high tide, although it is quite narrow above the high tide line. At low tide there is about a quarter mile of sand exposed. If you are walking in summer (1st May – 30th September) the stretch of beach in front of Filey Town has a dog ban, in which case you will need to divert onto the promenade for a short while. 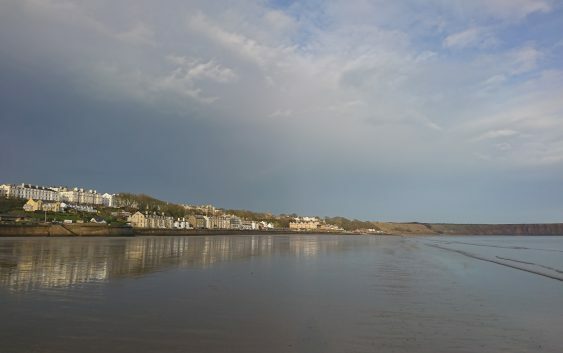 Leaving Filey behind the beach becomes quieter, dog walkers mostly. Continue past the ravine leading down from Primrose Valley. There is some car parking available, if you want to start your walk at Primrose Valley. Take the Primrose Valley village turn off from the A165 and go through the village. Continue to the cliff top where there is some free car parking. It’s possible to park in the Holiday Village / Caravan Park, although I am not sure if this is just for residents. The path down to the beach is along the cliff top towards Filey and down the obvious path along the ravine. Keep walking past the village and the Art Deco looking white building towards Hunmanby Gap. The cafe half-way up the cliff is well worth a detour, if you are feeling hungry. 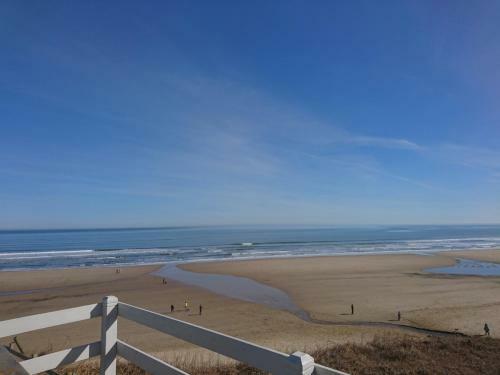 On a sunny day you can sit outside and enjoy a snack and a drink and admire the beach views. Again, you could start your walk here. There is a car park (not free) at the top of the cliff. Hunmanby Gap is signposted off the main coast road (A165). 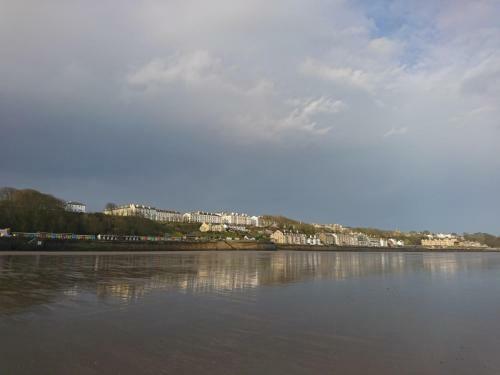 Filey Town viewed from the beach. Old Beach Pilings near Primrose Valley, Filey Bay. Boats on Cobble Landing, Filey. My favourite stretch of the bay runs from Hunmanby Gap along to Reighton Sands and Speeton Sands, where the walk ends at Speeton Cliffs. 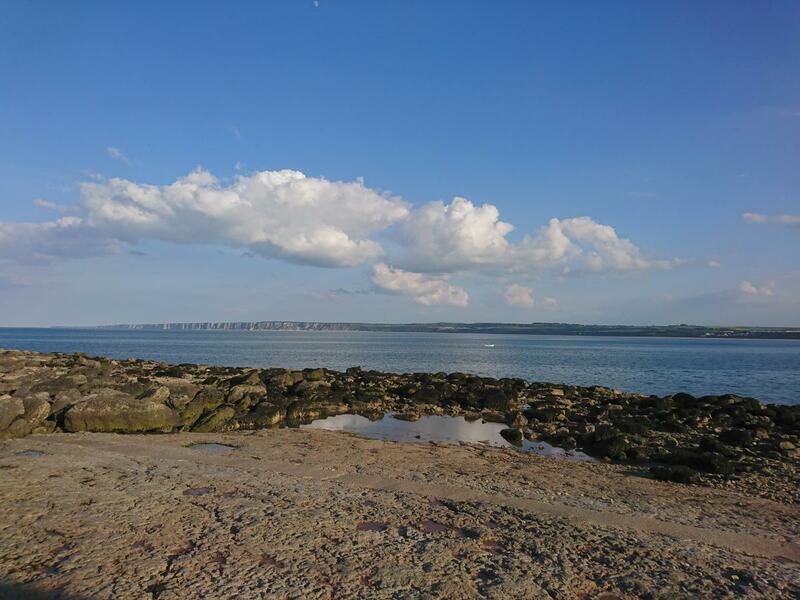 This is the quietest part of the bay and if you are lucky you might find some fossils on the beach. At low tide you can see the wreck of the Laura. The two and a half thousand ton steamer ran aground on 21st November 1897. The two boilers and keel are still visible. If you want to walk this route in reverse, start in the picturesque, cliff top village of Speeton. Park at St. Leonards church (honesty box). I would recommend stout walking shoes / boots if you are planning to walk this route, the path is quite steep and also overgrown in parts. Cross the stile next to the copse and follow the footpath across the field. The path down to the beach is signposted. Be sure to leave some energy for the walk back as it’s quite an energetic climb. 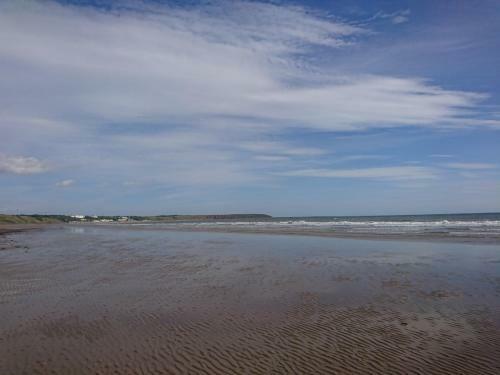 Alternatively walk the length of the bay to Filey. From Filey bus station catch the number 12 bus to Bridlington, which stops at Speeton. This is quite a limited service, you can check the times at the EYMS website.